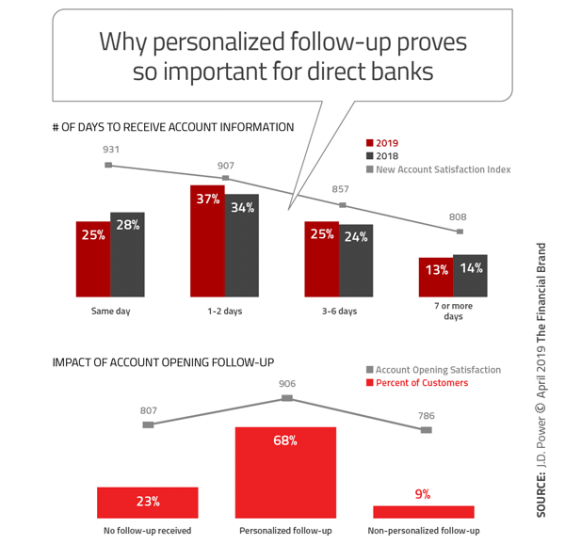 Direct banks significantly outstrip traditional retail banks in overall consumer satisfaction, but the data above makes it clear that they don’t own the consumers’ hearts and minds forever, once acquired. Charles Schwab Bank, which ranks highest in website satisfaction, plays off its parent’s retail brokerage base. Higher-yielding transaction accounts are linked to Schwab One brokerage accounts. Ally Bank, ranked highly in part for deposit rate competitiveness, also stresses the quality of its customer experience. Discover Bank, which showed the greatest improvement of any brand over the previous study, “has a great franchise in credit cards.” The improvement came via assisted online support; improved new account opening experience; and use of interactive voice response banking. 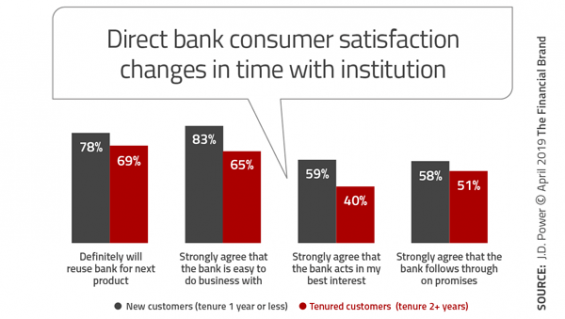 Something that Neuhaus notes in the study that helps explain the falloff in satisfaction with direct banks over time is that most consumers have only a deposit relationship with their direct bank. In a sense, it’s not unlike other competitive instances of keeping “hot money” happy. Such depositors love you for your rate, not your personality, and online banking, lacking people, can lack personality. 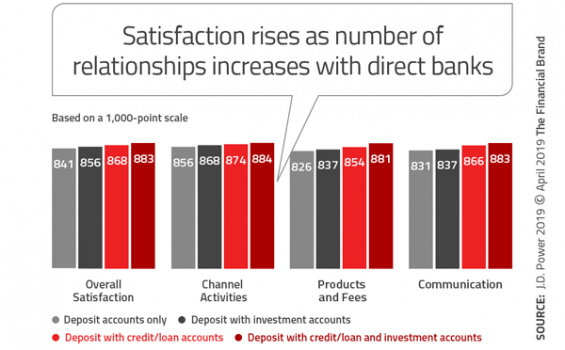 Further, consumer satisfaction increases the more relationships someone has with a direct bank, both overall, and in three key categories. 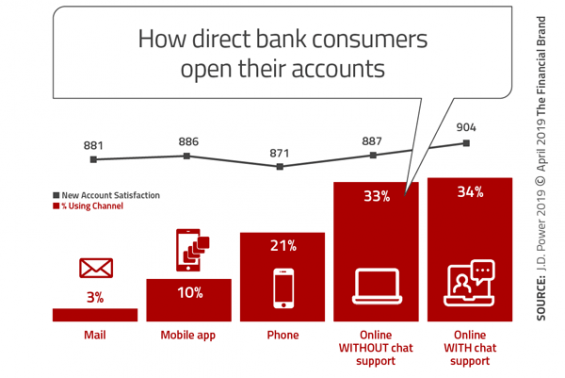 Neuhaus points out that consumers often have a primary bank and a relationship with a direct bank. Both institutions likely offer mobile apps, and consumers can grow impatient with multiple apps for similar functions. Each addition “is another app to learn, another password to remember,” says Neuhaus. The online players continue to tap into a strong desire for convenience and ambivalence concerning branches, among many consumers. They appeal so much to Millennials and others in part because what they offer can be accessed digitally 24/7 and because their lack of physical facilities enables them to pay premium rates. As 2018 closed, direct banks like Discover, Ally, and Synchrony Financial enjoyed double-digit deposit growth, according to S&P Global Market Intelligence. In the first quarter 2019, online institutions continued to pay richer rates than typical traditional banks, Keefe, Bruyette & Woods notes. Reacting to the success of direct banks, traditional banks have started their own direct banking wings. Among the better known are Millennial-oriented Finn from JP Morgan Chase, Capital One 360, and Sallie Mae Bank. But other new efforts continue to sprout. 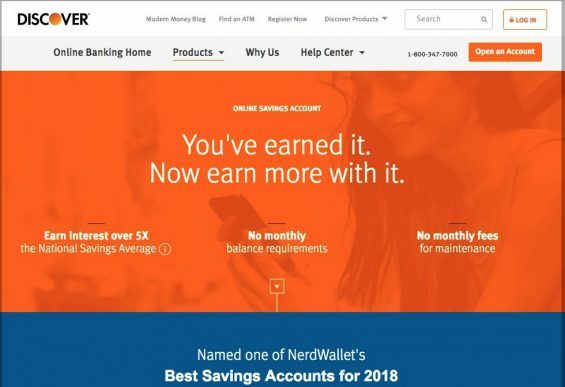 Citizens Access, for example, an online offshoot of Citizens Bank, came on the scene in 2018, praised by NerdWallet for its generous rates and no-fee policy, but criticized for its lack of transaction accounts and a mobile app. Citizens Access brought in $3 billion in deposits in 2018, “reaching an almost entirely new pool of customers through the use of our strong data capabilities,” Bruce Van Saun, Chairman and CEO, Citizens Financial Group, says in its annual report. Some direct ventures have existed for years. FNBO Direct, part of the First National of Omaha family dates back to the mid-2000s. There’s also IncredibleBank, the direct bank brand of River Valley Bank, launched in 2009. A report by Fitch Ratings notes that several traditional banks have employed a “carve-out” strategy for special direct banking efforts. These are deposit products made available to online consumers only and not to people within the institutions’ traditional branching footprints. 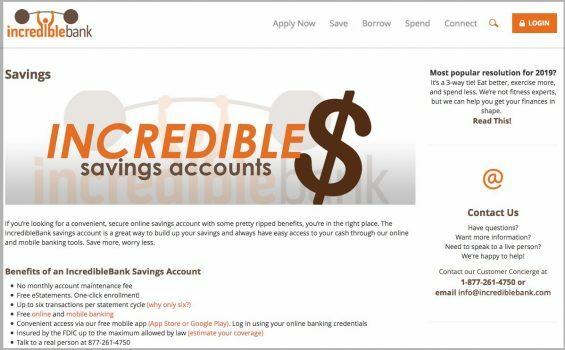 One such effort is PNC Bank’s special web high-yield savings account, launched in October 2018. It’s a carveout play, in that it is not available to consumers within PNC’s branch footprint of 19 states and Washington, D.C.
“Though early, our results are exceeding expectations,” states William Demchak, Chairman, President, and CEO, in PNC’s annual report. 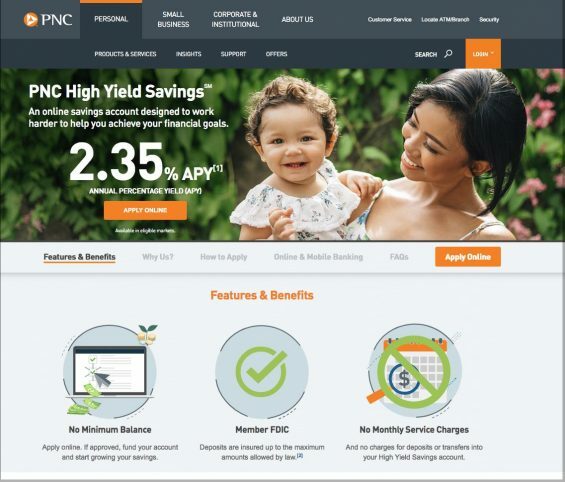 “Importantly, rather than drawing from existing deposits, the new deposit accounts this effort is generating are overwhelmingly with customers who are completely new to PNC.” Many are also opting to open PNC Virtual Wallet accounts, which include checking and money management features. While the high-yield move is online, what sets it apart is in select markets PNC will be supporting digital with physical — a “thin branching” strategy using a nontraditional look. 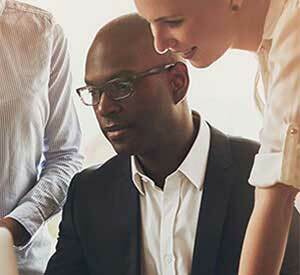 The plan called for beginning that new technique in Kansas City and Dallas, cities where PNC has earlier expanded its corporate and institutional banking footprint. Demchak says that this strategy recognizes that “even primarily digital customers want access to a location they can visit on occasion.” PNC hopes this twist will help it serve a major portion of the U.S. that it doesn’t already serve in a highly efficient way. 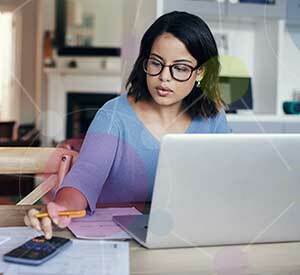 Another example of a blend of direct banking with “digitally-infused” branches is Union Bank’s PurePoint. Today it’s a knee-jerk attitude to praise the likes of Amazon, Apple, and others for the customer experience, but gaping holes exist in that model. Ever tried to reach a human at Amazon when something’s very wrong? Ever tried to get help with an Apple device that was more than about six months old from an Apple-owned helpline or retail location? No one wants to wants to go hunting around for help with their money. Judging by comments posted on NerdWallet and other sites, people get aggravated pretty quickly when online-only institutions don’t operate flawlessly. And when they can’t get a human to help, they generally tell the world that they are pulling out their cash as soon as they resolve things. Thus Neuhaus says a takeaway from the J.D. Power satisfaction survey is that in spite of the online nature of direct banking, neither online pioneer nor traditional banks or credit unions expanding onto that turf can lose the human element. “You need to keep the consumer coming back,” he explains and people feel the need sometimes to deal with people. While USAA is not ranked in the J.D. Power survey because it is considered unique, according to Neuhaus, it serves as a kind of gold standard by which direct institutions can be compared. The military-oriented institution earned a rating of 899 out of 1,000 in the survey, which would place it beyond even the top three institutions ranked. Support beyond the screen is important. The J.D. 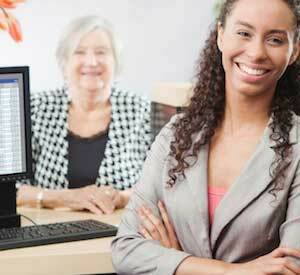 Power research found that satisfaction is higher when chat support is available. “The account-opening experience sets the tone for the future relationship and has a direct impact customer advocacy, loyalty, retention, and product holdings,” according to Neuhaus. “People want some kind of face, such as a call center employee, to help them navigate the process.” Neuhaus says that “face” can give the consumer some assurance that the interaction is proceeding properly. Consumers not only still want access to people at times, they also want personalization, the study found. While the human factor remains important, it doesn’t overshadow the main point: Direct banks’ most-used channels are website and mobile apps, according to the study. And this is where satisfaction rises and falls the most. 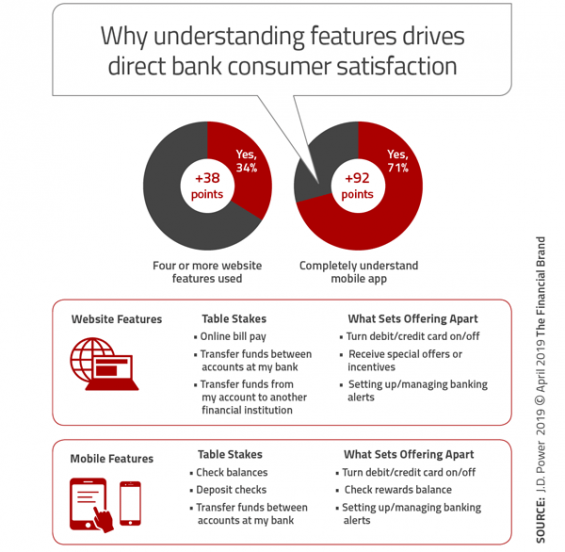 Some factors set a direct banking website or app apart from the competition. On the other hand, others are so basic that without them an effort would be a nonstarter — J.D. 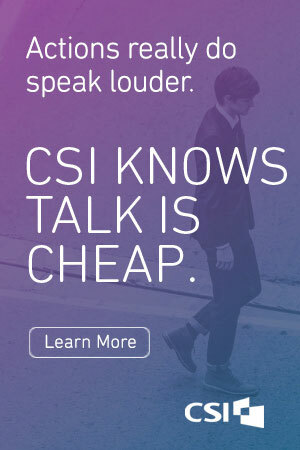 Power calls these “table stakes” to even deal with consumers. Not only must features be there, but they must be understandable. An app that no one can figure out isn’t much help. 1. Maintain flexibility. The mixed physical/digital approach Union Bank and PNC chose is the kind of approach that Neuhaus thinks will work in the long haul. 2. Rate isn’t a long-term win. The novelty of higher rates from institutions that don’t pay for maintaining branches won’t last forever. 3. Get it right before you go live. The temptation to rush to market is strong, but Neuhaus says getting a sound direct bank set up can take a year, especially if a traditional institution has decided on something that will have its own brand. Building the idea out with flexibility in product design and pricing is important, he says, but critical is the need to be sure everything works and is understandable. That, he says, means testing — test the voice response, test the contact center, in short, everything that will touch the consumer. They’ve got lots of other choices.